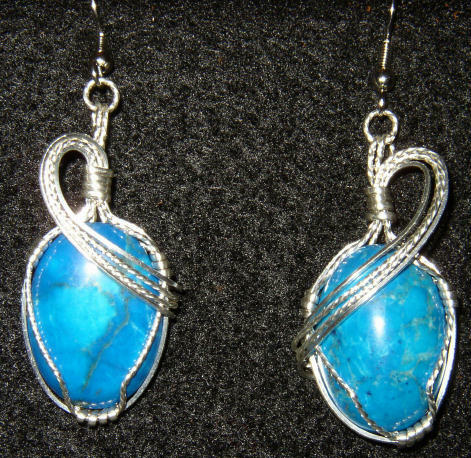 This ear ring set is made from two 18 X 25 mm Assembled Turquoise cabochons and wire wrapped/sculpted with Sterling Silver wire. 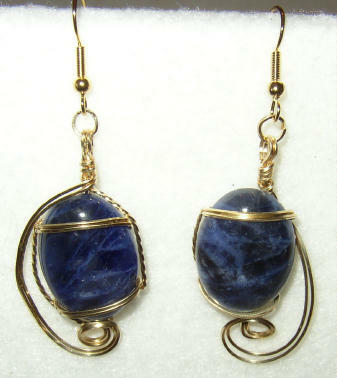 This ear ring set is made from two 18 X 25 mm Sodalite cabochons and wire wrapped/sculpted with 14/20 Gold Fill wire. 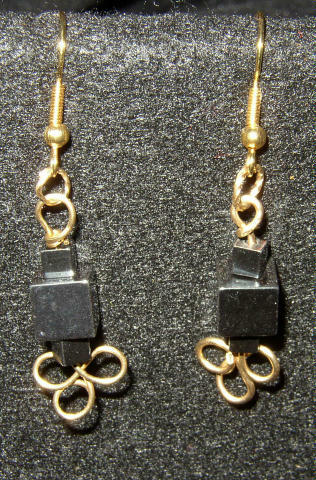 This ear ring set is made from hematite and 14 K/20 % gold fill wire. 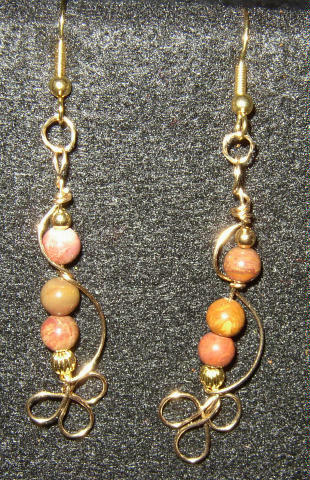 This ear ring set is made from polished petrified wood beads from the Brazos River of Texas and 14 K/20 % gold fill wire. 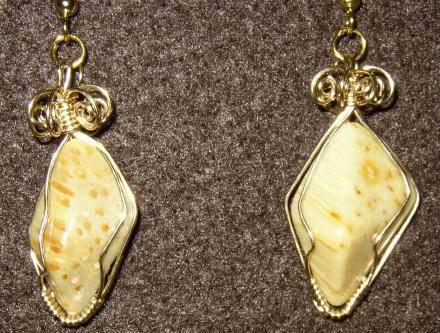 This ear ring set is made from polished dinosaur bone bone from Utah and 14 K/20 % gold fill wire. 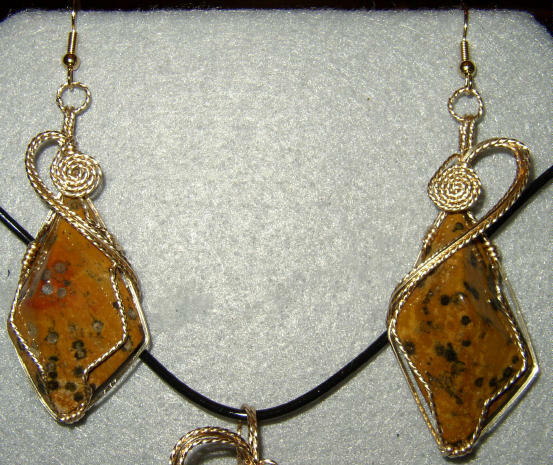 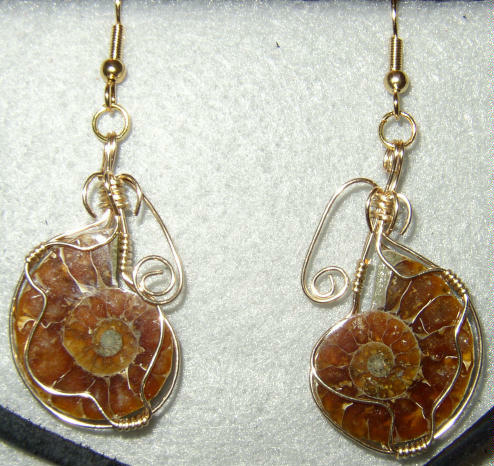 This ear ring set is made from Texas petrified palm wood and 14 K/20 % gold fill wire. 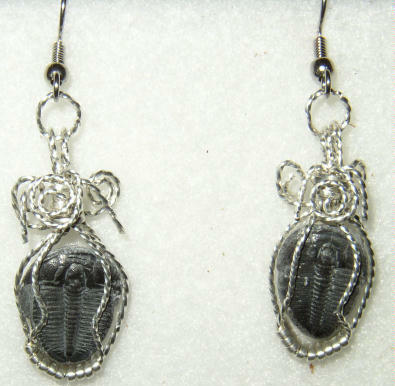 This ear ring set is made from two trilobite fossils from Delta Co., Utah and sterling silver wire. 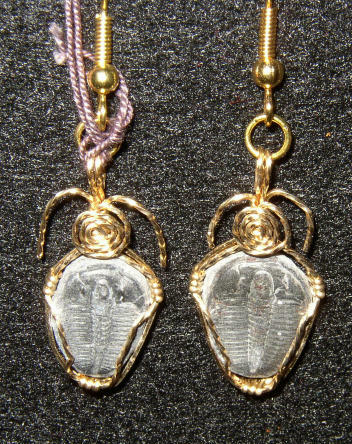 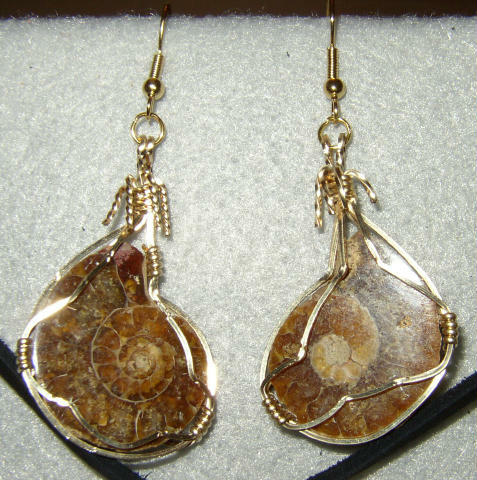 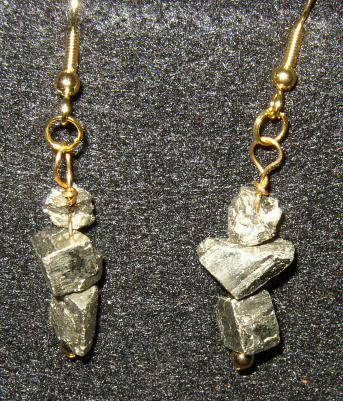 This ear ring set is made from two trilobite fossils from Delta Co., Utah and 14 K/20 % gold fill wire. 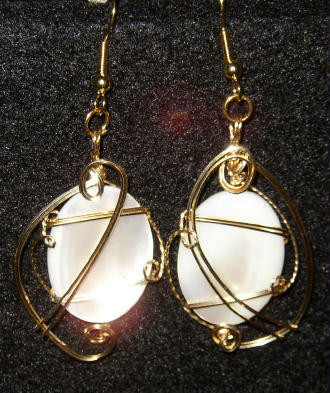 This ear ring set is made from Mother of Pearl from Asia and 14 K/20 % gold fill wire.